ibVPN has received a lot of comments recently about having a server in Japan. So they decided to expand the network to Japan. ibVPN now has a Japan server, jp1.ibvpn.com , which can be accessed by all users of this top VPN provider. All ibVPN customers who have either Free Trial, Multi, Total, or Ultimate VPN accounts can use the new Japan server. They just need to log in, select the server, and connect to test how it works. Then they can just locate the new Japan server under “My Severs”. They can also look at all the available IP addresses for the Japan server in the Client Area. ibVPN always appreciates feedback, so be sure to let them know what you think about the new server. The new ibVPN server in Japan supports PPTP, L2TP and OpenVPN. OpenVPN is the most secure VPN protocol, so use this one whenever you can. Then you will have superior online security and anonymity. If you do not see the Japan server on your server list, just restart the ibVPN client so it will appear. If you are not yet an ibVPN customer, you can still test the Japan server. 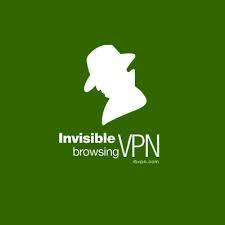 Just sign up for a Free Trial of ibVPN. Then after 6 hours, you will be able to access the server list and start testing it. Make sure you check your email for the setup instructions. You will also be able to get help from ibVPN support if you run into problems.